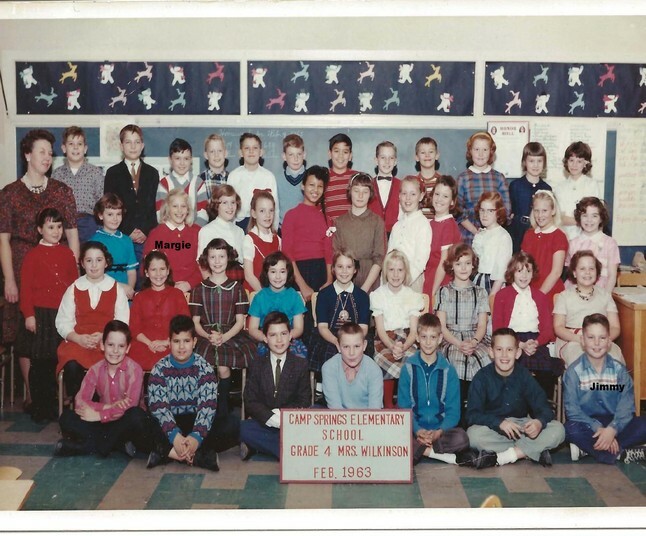 Crossland Class of 1971 Folklore starts early and sets the stage for many legends, jokes, popular beliefs, fairy tales and customs followed at CHS. 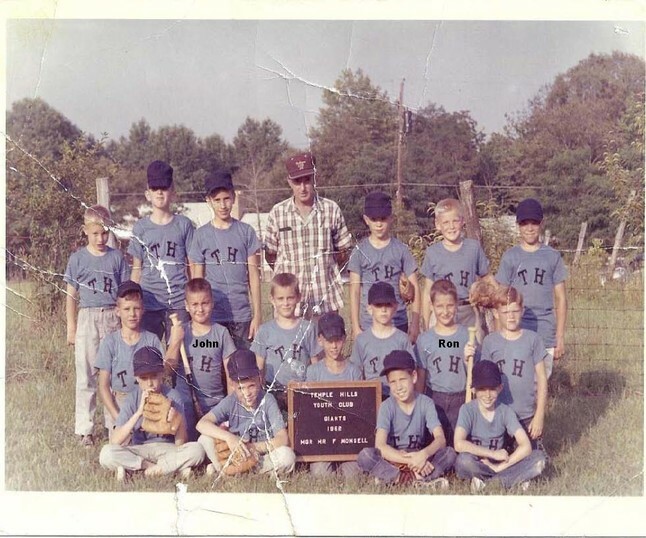 As far back as summer 1962 it is rumored that the Temple Hills Boys Club Baseball Team, coached by a Hall of Famer, Farmer "Shoeless" Frank Monsell, and lead by the outstanding play of Ron Roys, John Hayden, and other CHS grads won the Little League World Series. Put me in coach.... "Centerfield"
The CHS legend whispered with high praise around the "Black Ops" community of Washington DC is one involving Camp Springs Elementary School students, Jimmy Epps and Margie Gardner. 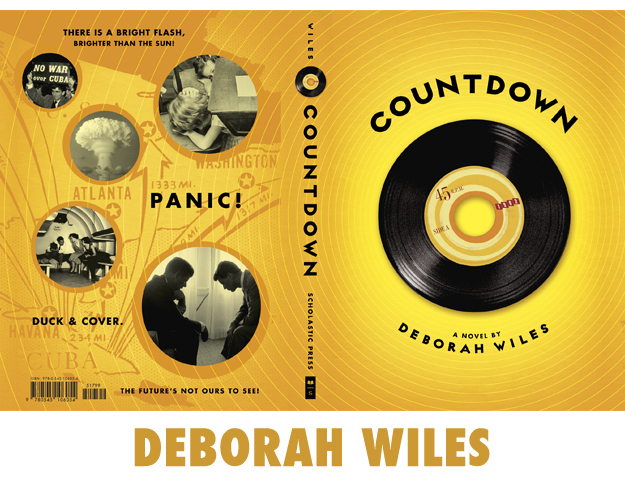 A detailed account of their undercover exploits to end the Cuban Missile Crisis can be found in the novel "Countdown" written by a fellow student, Deborah Edwards Wiles. In addition to Jimmy and Margie other CHS students served to protect of our great country. 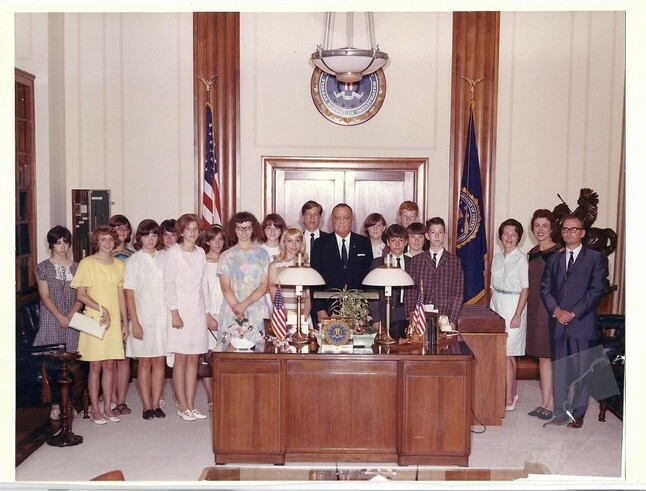 Below is a rare photo of a "Junior G-Man" secret graduation ceremony conducted by J. Edgar Hoover. Due to the secret nature of their mission the names of specific CHS students are not printed on the photograph. However, the faces of John Hayden, Peter Bergman, and David Johnson are easy to spot in the middle next to J. Edgar Hoover. Despite the heavy aroma of Chanel No. 5 and white high heel pumps the boys were not uncomfortable because their "Junior G-Man" field manual described the procedure for escaping the exact same precarious situation. 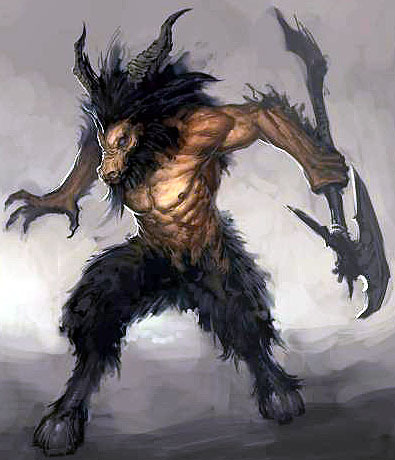 A popular belief and old Piscataway Indian legend is that of the Goatman and Goatman's Bridge. Many CHS grads have driven the once dark winding narrow stretch of one lane road know as Tucker Road and lived to tell about their encounter with the Goatman. Where Tucker Road crosses Henson Creek was Goatman's Bridge and the dark heavily wooded home of the Goatman. To see eyewitness testimony, below is exclusive footage of Rick Moran's, CHS Class of 1968, close encounter with the Goatman at the bridge. The interview was done just days before his mysterious and unexplained disappearance. One of many encounters reported, a Crossland High School couple parked alone on a lonely moon lite country road, during a steamy window love making session they suddenly heard something banging on the hood of their car. Looking up they were scared to death to see the goat like creature staring at them, waving what looked like a double edged axe in it's hand. The creature suddenly turned and dashed into the surrounding woods. 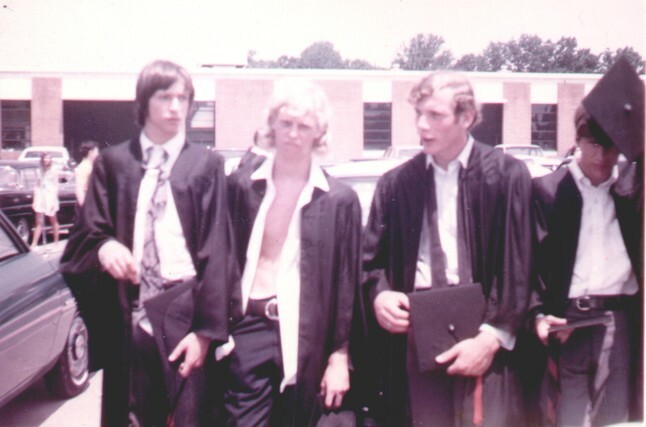 If you attended Crossland in 1971 you will never forget the day the “Rat Pack” showed up, Dino, Frankie, Peter, and Jerry (minus Sammy) to sing "Mack the Knife" at our graduation ceremony. The Pack flew in by helicopter, landed on Presidential Field, directly from Las Vegas NV where they were performing at the Pink Flamingo Hotel & Casino. To escape the press after they hurried out the back parking lot, photo below, to their helicopter.